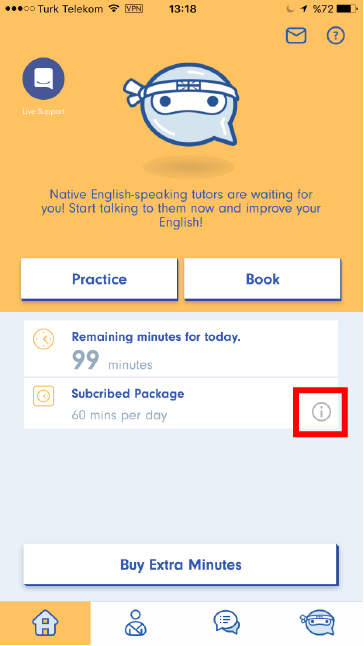 You can change your subscription package easily in English Ninjas. 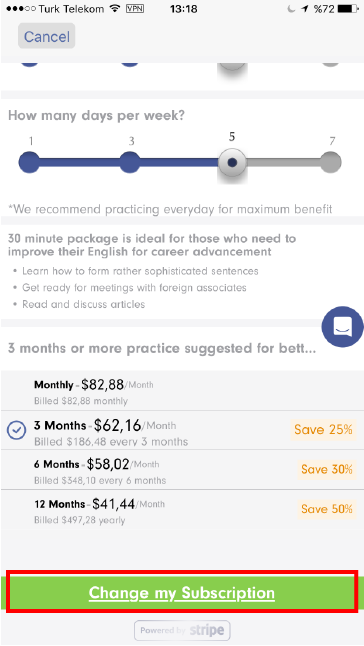 Our approach is flexible and everything is optimized for our users effectiveness. 2. 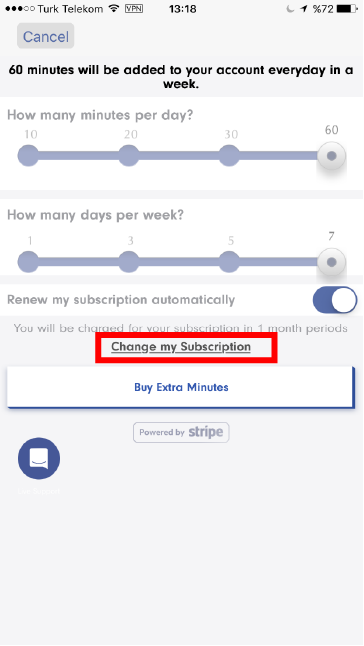 Click "i" button for go to "Subscription Page"